Kitchens, Bathrooms and Bedrooms - DESIGNED INTERIORS - Canterbury and Deal, Kent - Kitchens, Bathrooms and Bedrooms. We guide our customers through every step of the process. Whether it is inspiration you’re looking for or assistance in how to take an idea to reality, then our friendly experienced team is on hand to help. At Designed Interiors, understanding the shape and layout of your home is vital to the design process. 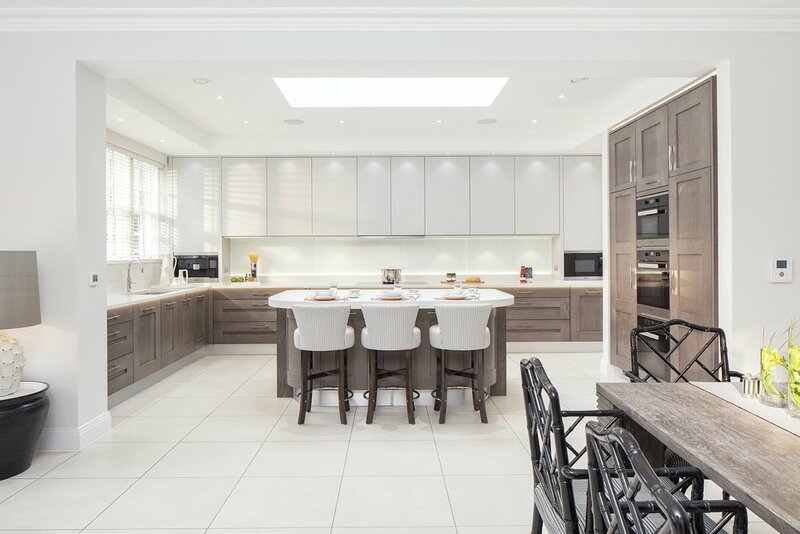 Our made-to-measure kitchens fit into any space ensuring special architectural features are preserved or enhanced to create an entirely bespoke room. 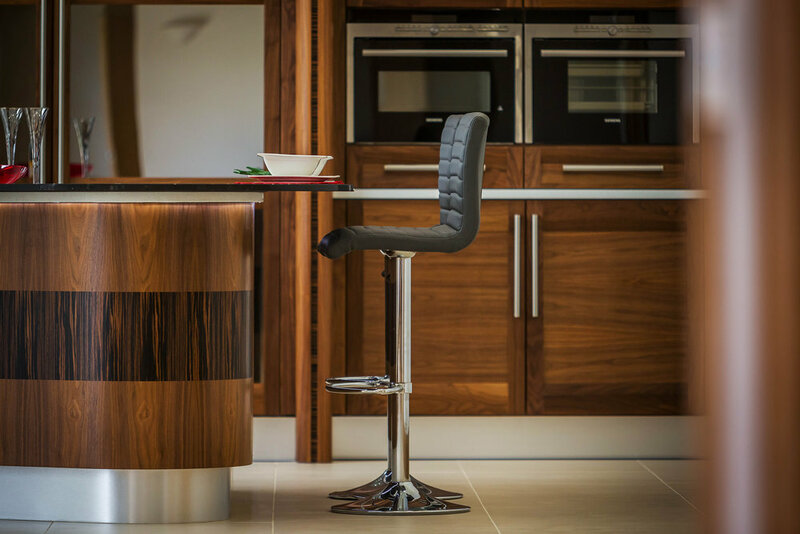 Once every component of your kitchen has been agreed, everything will be crafted to your exact requirements. Our experienced craftsman will bring your design to life. Our team will ensure you have an enjoyable, hassle free experience. All of our products come with manufacturing guarantee giving you peace of mind should anything go wrong. Our after sales team is just as dedicated as our design team to ensuring you receive nothing but the best service. This is why we are very fortunate to have a strong repeat client base, be it further works, new work in another property, or helping with a dripping tap 20 years later. All receive the same warm welcome, and our best endeavours. With over thirty years of experience, our family business has evolved along with fashions, trends and technology to keep pace. However, the fundamentals of giving our clients a good experience, and a quality outcome haven’t changed. Customers are very much at the heart of our business which is why so many of our colleagues have chosen to stay in our business throughout their careers. To back up what we say, we have over 30 years of client projects, references, and testimonials to show for peace of mind what we do. Many of our clients will be delighted to show a prospective client their home, but prefer not to be on our web site. 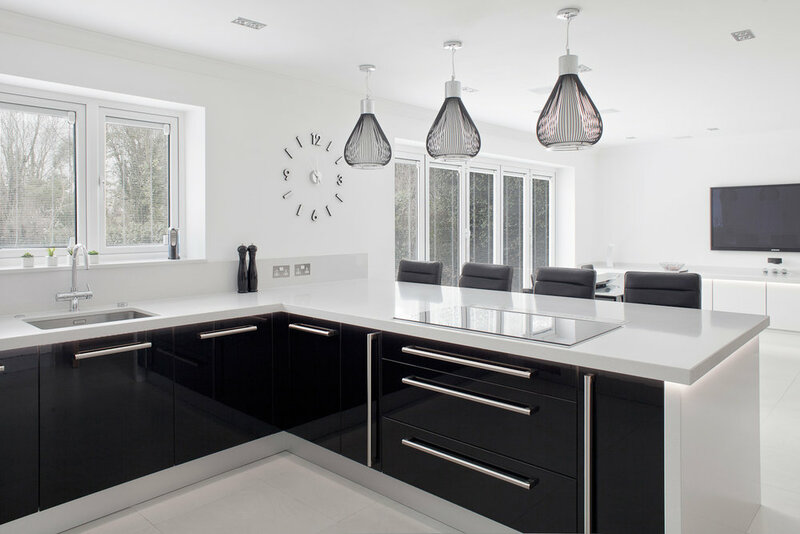 Our portfolio includes just about anything you can think of for the kitchen, fitted bedroom or bathroom & beyond. The chances are even if we have never done exactly the same thing before, we will have encountered something very similar, or on par with your requirements. Watch this short video and go behind the scenes at Stoneham Kitchens factory in Sidcup, Kent to see how we craft stylish, bespoke kitchens. Designed Interiors designed, supplied and installed our completely new wet room and kitchen including new ceilings, plastering & lighting. We are very happy with the quality of the products supplied, all the various contractors involved were highly skilled craftsmen who worked long hours to deliver an excellent finish. The big advantage of Designed Interiors for us was delivered by project manager, Jason. Having an experienced professional to manage and co-ordinate all the various tradesmen, and delivery of the all various components, on time took away all the hassle and stress and provided a single point of contact to solve any unexpected issues before they became problems and thus the project was delivered on time and on budget, hence 5 stars. I called into the Canterbury shop and spoke to Dean who was extremely helpful, we arranged a day for Gary to come to my home to design the layout of my new bathroom suit, once decided what I was going to have , Trevor the fitter and his team came over, They did a wonderful job , workmanship is outstanding, and the quality of all the products are amazing. They worked extremely hard very little mess considering what they have to do , Highly recommend Design Interiors , I will never go anywhere else , Amazing company , Fantastic staff who are a real credit to the owner John. I contacted the guys at designed interiors and arranged a visit to measure up etc. Gary very quickly designed everything that we had asked for, we soon realised that our short list left us with less work top space than we needed, Gary very quickly suggested a few alterations and produced new drawings, after some colour changes we decided on the finished product. As the kitchen was to be installed in an extension that was not even built yet so not only did he show us what the kitchen would look like - it also showed us a 3d drawing of the build, Fantastic! We booked a slot for the kitchen fitment, and was quoted 10 days. Clive (the joiner/fitter) was finished well within the time window and carried out an exceptional job, to say we are pleased doesn't get close, these guys really are the professionals, highly recommended.